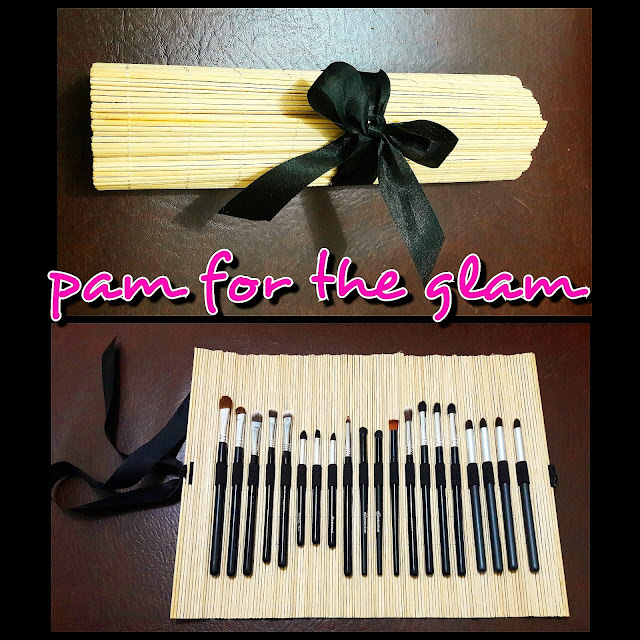 So I finally decided to do a DIY project I've seen on so many blogs and videos online--- the sushi mat brush roll. I wanted to make one specifically for my eye makeup brushes because I hate rummaging through my jars and kits for my blending, crease, and shadow brushes. 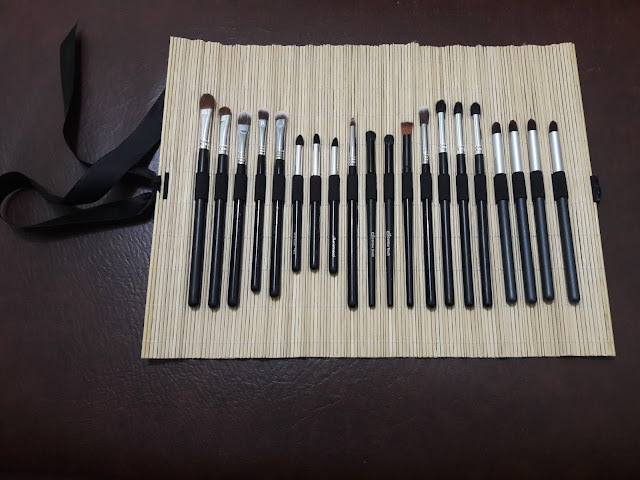 I like protecting my makeup tools from dust otherwise all that dirt's gonna end up on my face and will defeat the purpose of my regular brush cleaning. 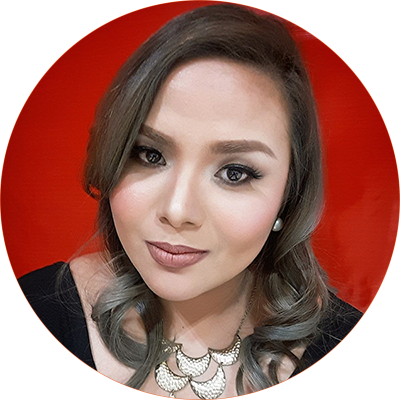 Hello, breakouts and allergies! For this project, I simply used the following items--- 1. 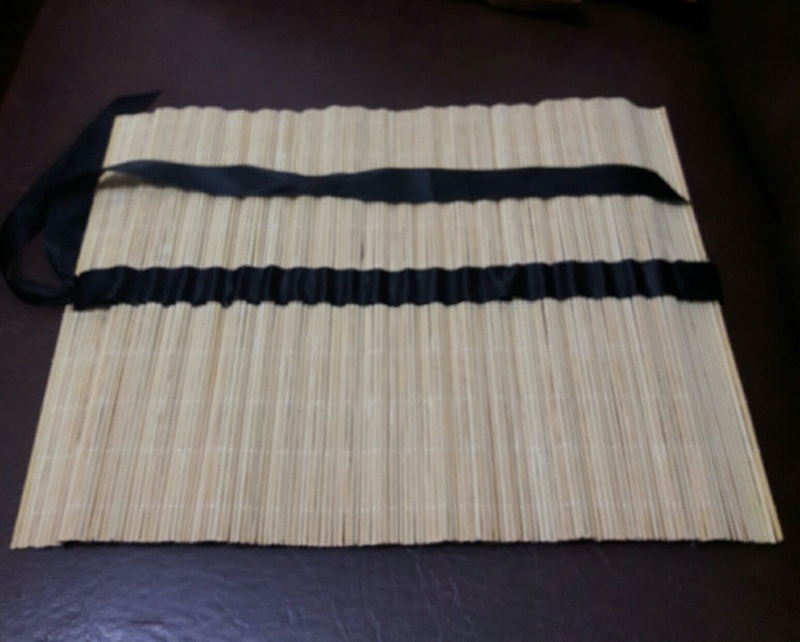 A sushi mat, 2. black elastic, 3. black ribbon, 4. A cutter, and 5. my trusty glue gun. Read on if you want to know how I made my version of this popular DIY project. 1. 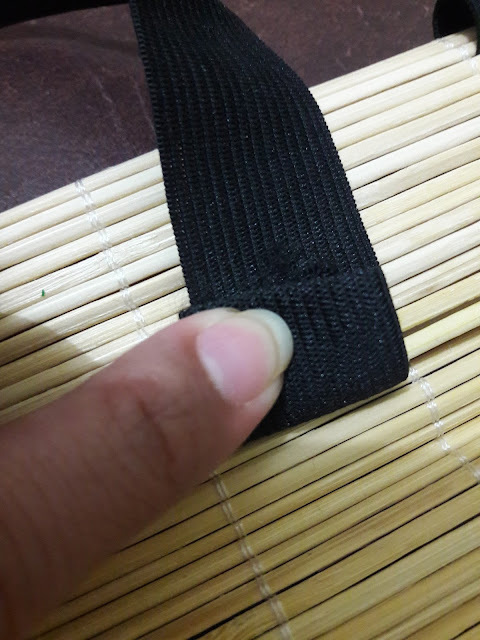 Lay out your sushi mat and measure out some black elastic at least twice the mat's length. 2. Choose where in the mat you want the brush bands to be. 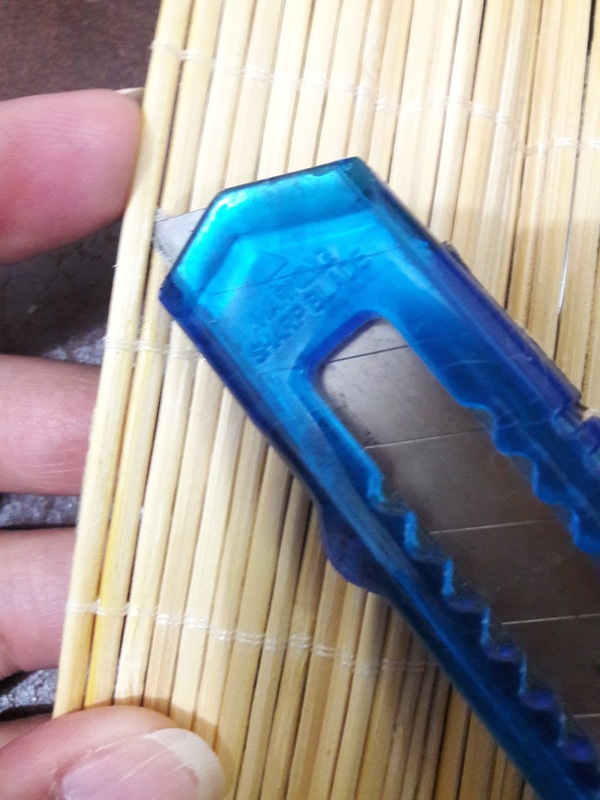 I decided to put mine in the middle to make a single line come together with the ribbon for holding the brush roll once it's finished. You can place it anywhere but I like seeing a single line at the back once the mat's rolled up. If the bamboo sticks are tightly bound together, create the needed gap by using a cutter. Insert at least 2 inches of the elastic into the mat's edge. 3. Use a glue gun to secure the end of the elastic at behind the mat or the portion which will not hold the brushes. 4. 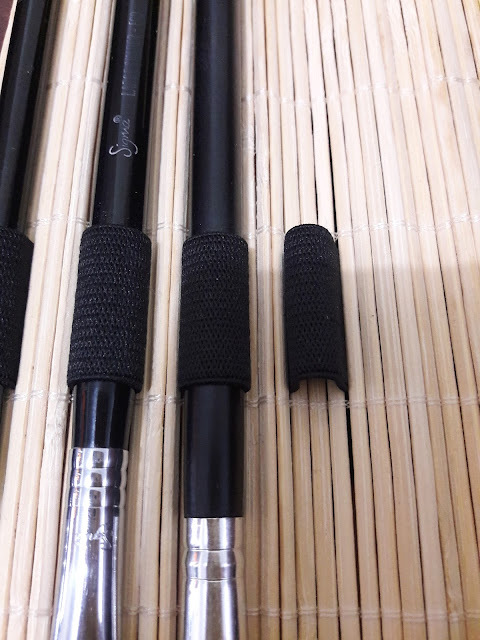 Using the brushes you intend to put in the roll as your guide for slack and tension, weave through the mat until you get enough loops to hold your tools. Make them snug enough to hold the brushes in place but not overly taught. This will ensure that the mat will stay flat when laid out. Regarding the spacing, three was my magic number with my eye brushes. Three sticks for the loop over and three for the space between each loop. It will depend on how big you brushes are. 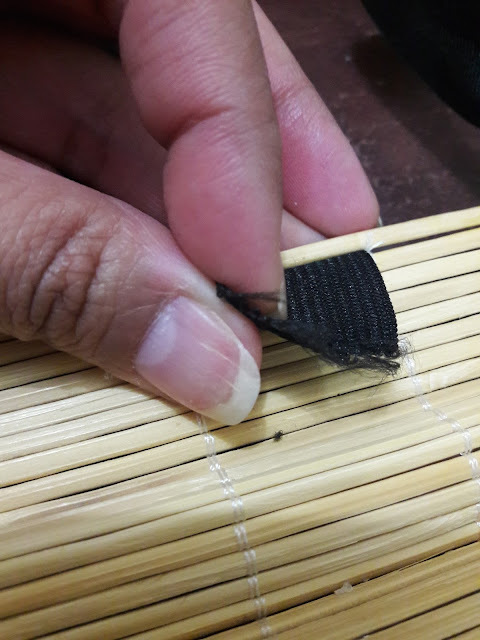 Secure the end of the elastic at the back as shown on step 3 only this time, leave the mat's last 2 sticks at the edge free for the ribbon that's going to hold the mat when rolled up. 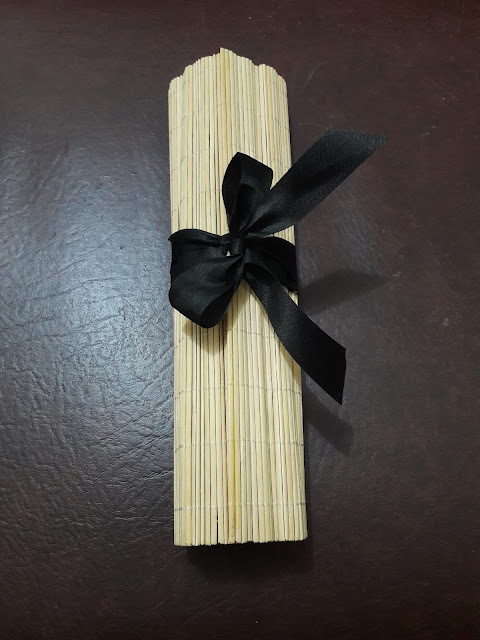 You will need at least 15 inches of ribbon, depending on how thick your roll's going to be with the brushes inside and how big you want your bow to be. I like putting the ribbon at the edge so I have the option of making a loop and hanging it up. 5. Cover the elastic at the back with a strip of ribbon to create a finished look. Et voíla! You have your very own brush roll made with a sushi mat!